If you’ve never clipped coupons before and are planning to give it a go, let us save you a little time and stop you right there. Coupon clipping, in theory, is an awesome idea — it’s just that it’s never executed quite the way we want it. In reality, we ended up shaving hours off of our free time on Sunday afternoon to cut out a bunch of paper squares that end up taking up a bunch of space in our junk drawer indefinitely because they never get used. The good news is, saving money doesn’t have to be an all-day coupon-clipping event. 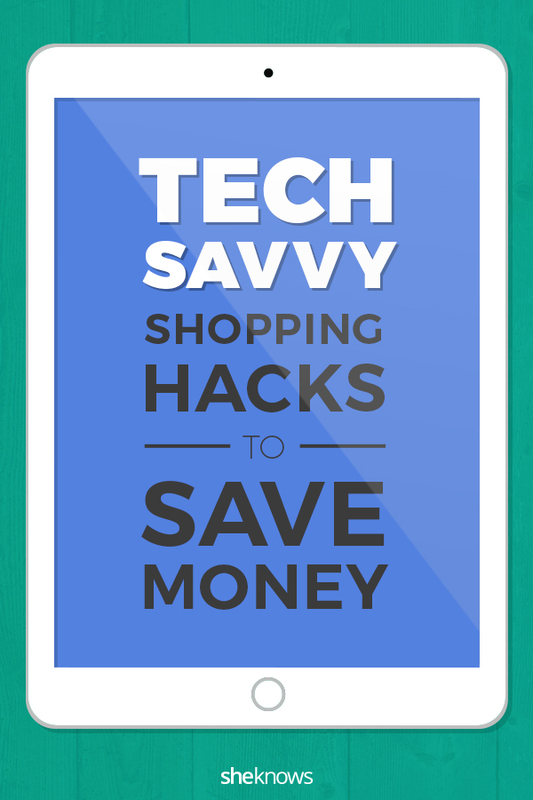 It’s 2017, and the wonderful world of technology has provided us with these 10 simple hacks that help us to stay on budget at some of our favorite stores. No scissors required. Here are our favorite tips. If you have a store you shop at regularly, download the store-specific app for extra discounts. Target’s Cartwheel (iTunes, Google Play) lets you stack multiple coupons and REDcard, while Wal-Mart’s app (iTunes, Google Play) has exclusive deals for app users and a Savings Catcher function that will comparison shop for you and give you the difference on certain goods in the form of an eGift card. Don’t want to leave the house? Do your online shopping through Ebates, which automatically credits a percentage of your purchase back to you at a store-specific percentage. Making an account is free, and they work with tons of stores and retailers like Amazon and Nordstrom. Keep forgetting to use your loyalty card because you can never find it or even forget that you registered one? An app like Key Ring (iTunes, Google Play) can keep all of your cards in one place so that all you have to do at checkout is swipe through until you find it and scan away. 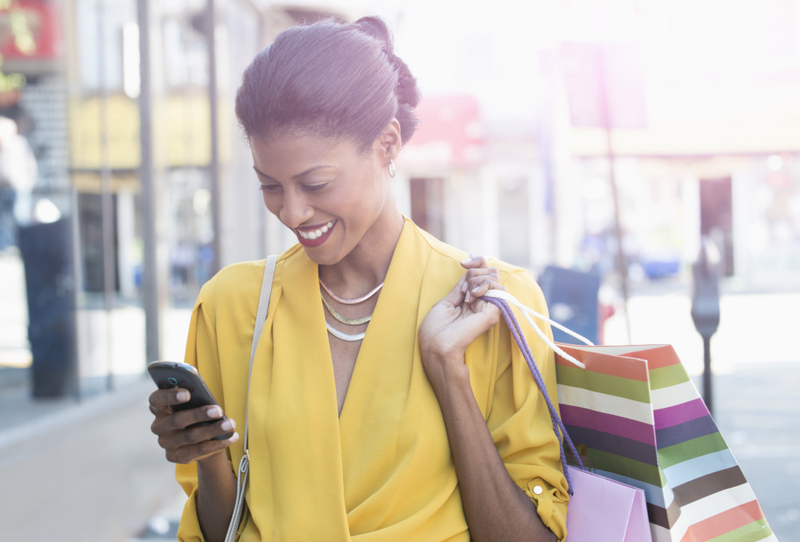 For stores you visit weekly, sign up for text alerts and set them to refresh on the day you usually go shopping. Most stores will let you do this pretty easily, just by, you guessed it, texting them a code. SnipSnap has a list of a bunch of great stores’ codes to get you started. Apps like RetailMeNot (iTunes, Google Play) will let you aggregate coupons and specials for a bunch of your preferred stores, which can be useful for when you don’t shop at a place often enough to download their specific app. If you enable push notifications, the app will let you know what stores have deals nearby when you’re out and about. The QR Code Reader and Scanner by ShopSavvy (iTunes, Google Play) lets you scan an item’s barcode and retrieve a list of nearby retailers who also carry it, along with the price they’re offering it for. If you find something for cheaper, but don’t want to run to a different store, check with the manager. Most big box stores will price match it on the spot. Retailers and restaurants will sometimes use Snapchat to advertise pop-up promotions, exclusive discount codes and even host contests and giveaways, while retailers on Facebook will often post additional coupons and offers right on their page. Some stores also post coupons on their site that you can use in-store — just pull them up on your smartphone while you’re in line, and present the coupon code to the cashier (The Children’s Place is one of them). When it’s time to comparison shop, save time by using an app like Flipp (iTunes, Google Play) to gather all of your favorite store circulars into one place. That way you can head to the place with the best deal on anything you need from apples to HDTVs. If you’re not ready to give up coupon clipping entirely, but flake on carrying all of that paper around with you, there’s an easier way. Clip physical coupons without ever picking up scissors by using SnipSnap (iTunes, Google Play). The app allows you to use your phone’s camera to “clip” store coupons. The only drawback is that it doesn’t yet support manufacturer’s coupons. It hopes to soon, though. Checkout51 is a neat little site that lets you get cash back on brand-specific items, usually groceries. You just add the offers to your list, shop in a physical store and then snap a picture of the receipt before uploading it. When you hit $20, they’ll send you a check.